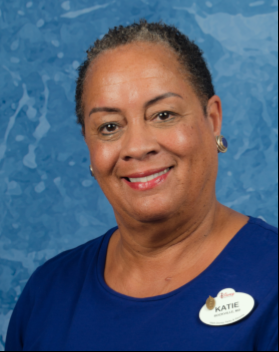 In her role as a senior facilitator, Katie is responsible for drawing on her leadership experience, business knowledge and Disney Institute insights to understand client objectives and better align learning solutions. She facilitates the delivery of business programs individually and as a team. Prior to joining Disney Institute, she worked as a human resource manager at Disney’s Animal Kingdom® Theme Park, where she partnered with and influenced clients to meet local and global human resources objectives. Additionally, she served as a leadership development consultant to enhance organizational and behavioral performance, which drove business results for hundreds of operation leaders and their teams. Before Disney, her professional experience included jobs as a change manager and organizational development consultant for a major bank and an international marketing manager for a large shipping company. Katie has a master’s degree in industrial/organizational psychology from Long Island University and a bachelor’s degree in psychology from Boston University.